H. T. Harvey & Associates was founded by a group of university professors, and we believe strongly that basic and applied research is an integral part of ecological consulting. We recruit widely for scientists with research experience, and ecological research continues to be a critical part of our business. 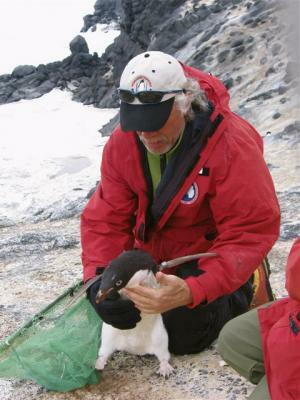 Our research projects explore diverse topics, ranging from Adelie Penguins in Antarctica to seabird and marine mammal foraging strategies, and from mariculture effects on estuarine systems to the ecology of bats foraging over aquatic systems. Much of our work is related to species’ habitat requirements and their responses to climatological, geological, or ecological fluctuations. The National Science Foundation, the National Oceanic and Atmospheric Administration, and the U.S. Fish and Wildlife Service have all provided funding to our basic research efforts. Our expert scientists serve as editors, participate in editorial boards, and peer reviewers for submitted papers for industry and academic publications, such as The Condor: Ornithological Applications, Environmental Biology of Fishes, North American Journal of Fisheries management The Auk, Biological Journal of the Linnean Society, Mammalia, Current Zoology, Molecular Phylogenetics and Evolution, Western Birds, Marine Ornithology, Journal of Raptor Research, North American Birds, and Zootaxa. The focus on basic research contributes to our skill in practicing applied ecology—the heart of our business.